Flowing geometries on each tower show subtle variations of curved and undulating glass, inspired by the Yarra River. 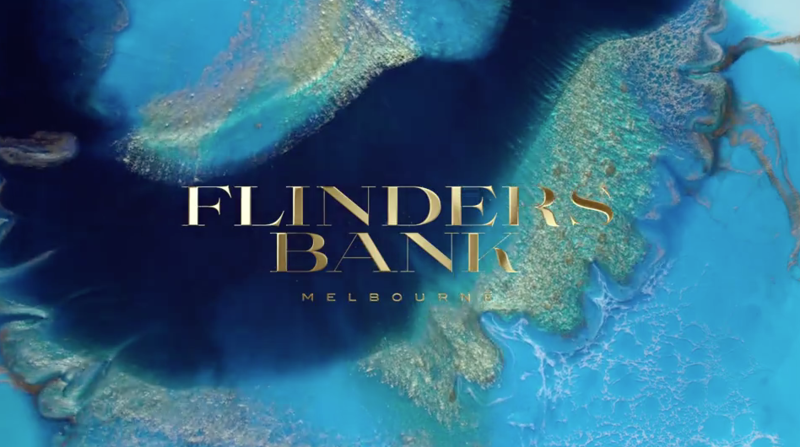 Flinders Bank offers residents exclusive access to resort-style amenities, a calm respite within an exciting new precinct. Enjoy recreational spaces with breathtaking views over the retail plaza below, towards the city and the river. Designed to maximise beautiful panoramas, spacious residences offer generous open plan living dressed in luxurious natural materials and bathed in abundant light. The largest building in the world, New Century Global Centre is a magnificent landmark in the capital of the Sichuan province. It features the Paradise Island Water Park with a 8500sqm wave pool, a 400,000sqm shopping mall with some of Asia’s biggest retailers, a 990-room Intercontinental Hotel and commercial office space for 50,000 workers. Inspiring artwork, open public spaces and parklands enrich the centre plaza. A luxury resort designed to integrate nature and architecture, nestled in a national park reserve. Jiuzja Paradise offers 1,020 guest rooms, with six restaurants, a convention centre and entertainment precincts. A world-class destination for tourism and leisure, this luxurious development boasts a 5-star Hilton Hotel with 700 rooms, a 180-hole golf course, serviced apartments and luxury residences. A luxurious lakeside residential development featuring 63 stand-alone residences, each magnificent home comes with its own private pool and 24/7 concierge services. Sprawling lush parklands were part of the masterplan, an initiative to rejuvenate the natural environment and give back to the local area.